Corpus Christi Garage Door Repair specializes in residential garage door repair in Corpus Christi, Texas, along with other surrounding communities including Rockport, Aransas Pass and Port Aransas. Our team offers fast, reliable service by experienced technicians. We are experts in garage door spring repair, and our trucks are always stocked with garage door parts. We can easily replace broken garage door springs, like a torsion spring, once we arrive at your home for your service call. 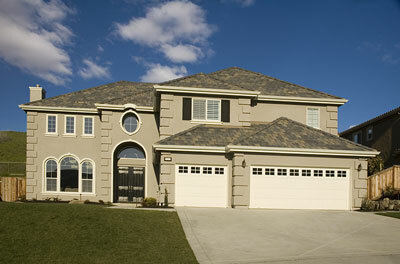 We can fix or replace the components of your one piece garage door or your sectional garage door. Our technicians service all brands of garage doors and garage door openers. We have experience repairing broken springs, worn parts, jammed garage doors, doors that are off track, broken motors, defective remote controls, and bent or cracked panels. Our goal is always to get you back into your garage as soon as possible. We know how important it is for your garage door to be working. When your garage door opener is broke, it can throw you for a loop, after all it is easier to hit a button then it is to get out of the car and lift the door. We promise to have your garage door opener and all other repairs fixed fast and at an affordable price. Whether you have a a broken spring or bent track, or if you’re dealing with worn out bottom rubber gaskets or faulty hinges, we’ve got you covered. Or, maybe your cables are slipping off the drums or your safety sensors are not working properly? At Corpus Christi Garage Door Repair, our team knows what to do. When we arrive at your home, we will first diagnose the issue. Once we determine what’s causing the problem, we’ll walk you through your garage door repair options, always with a goal of same-day service, as well as your budget in mind. To prevent reoccurring repairs, it is important to perform regularly scheduled maintenance on your garage door. 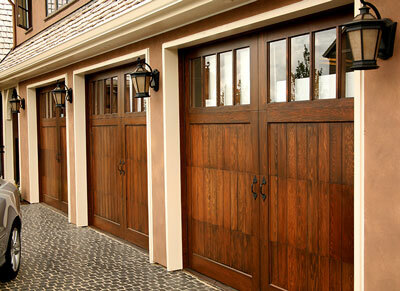 Regular scheduled maintenance of your garage door can prevent future service and repairs from being needed. As a homeowner, you may want to consider a maintenance plan once your garage is back up and running, at least once a year. One of the most common repairs that our professionals service is broken spring repair. Of the two types of springs used to open garage doors, torsion springs are the most common. Torsion springs are set under extreme tension. After so many cycles of opening and closing, they will eventually find a weak point and break. These can often break after years in service or under unusual conditions or after accidents. Spring replacement should be performed by trained technicians. Torsion springs are not sold at your local home improvement store for a good reason. There are many different gauges of wire and diameters and lengths of spring. This is why it is important for a trained professional to gauge and measure your existing torsion spring. Additionally, other garage doors are opened with extension springs. The size springs required depends on a number of factors, such as the height and weight of the door. When the springs are replaced, the accompanying pulley system should be replaced as well. It is also vital to replace the safety cabled that run through the springs to prevent damage to property and injury to persons from spring breakage. Another common issue that arises for homeowners are problems related to broken and torn cables. Your garage door provides three functions for your home or business: security, convenience, and aesthetic. It’s also a mechanical object. In fact, it’s the largest appliance and the largest moving object in your home, and its operation depends on its parts working together. 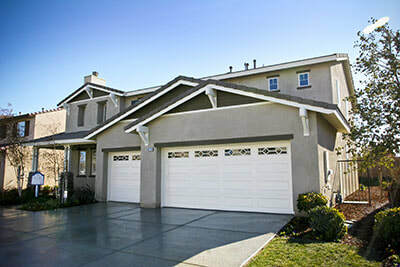 If your garage door won’t move, is stuck, or becomes crooked, our garage door company first investigates the cables. Cables are usually attached to the drum located at the top of the door, and their job is to support its weight as it goes upwards and downwards. Along with your cables, if your opener is a belt driven unit, it’s designed for doors with enormous weights and to open and close smoothly and quietly. But like any other moving part, a belt will gradually wear, tear, and may eventually break. Luckily, when a belt breaks, it’s because of recurring tension over time. The belt can usually be replaced easily and without having to replace other parts. Regardless of what component is causing problems with your overhead door, don’t hesitate to reach out to our team at Corpus Christi Garage Door Repair for all your repairs so we can resolve the issue as quickly as possible.